2. Add Teriyaki Glaze, Pele’s Fire Marinade, Sriracha chili sauce, garlic cloves, and stir to combine. 3. Cover tightly with plastic wrap and refrigerate for 2-4 hours. 4. Preheat the oven to 450 degrees F and place the oven rack in the top position. Line the baking sheet with aluminum foil. 5. 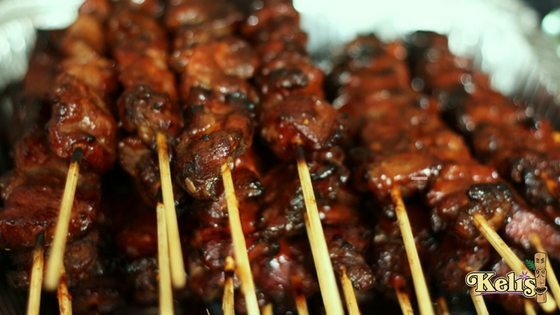 Remove meat skewers from refrigerator. 6. Place skewers on the baking sheet and bake for 10-15 minutes till start to brown on top. 7. Remove from oven. Can glaze again with extra sauce , if needed. Place on serving dish, enjoy hot.